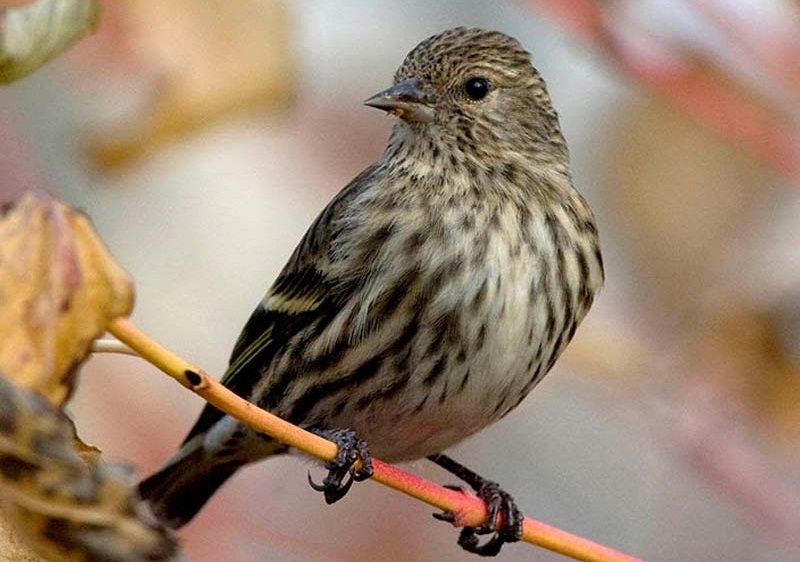 Pine siskins are migratory finches, known for their conspicuous streaks and slender bills which separate them from American sparrows and other similar sized finches. 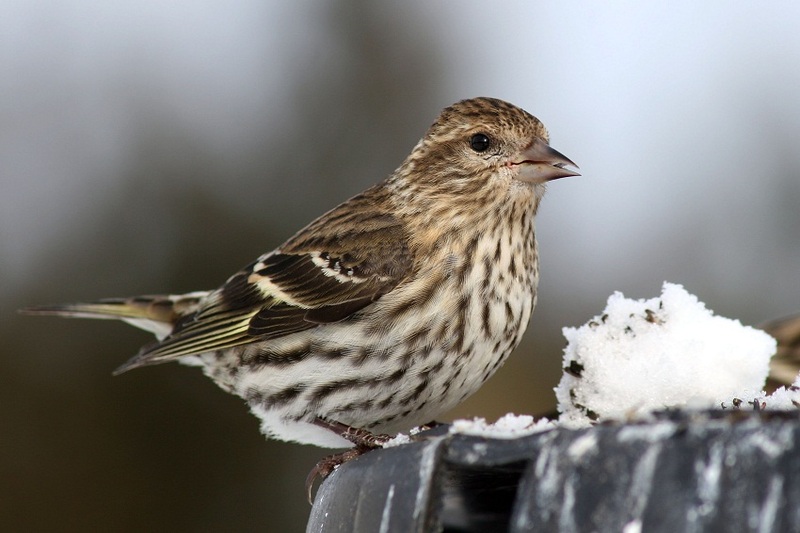 With an outstanding power to thrive in the winter, these North American birds often fly in groups. 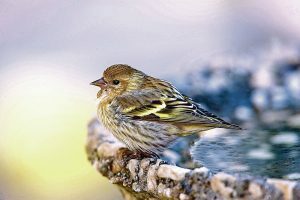 Color: Brown upperparts and paler underparts, heavy streaks throughout the body, yellow patches on the edge of the tail and wings, in some variations there are white spots along with white. The wing coloration is clearly visible during its flight or mating. The bird can increase their metabolic rate by 40% (which is much higher in comparison to its size) to survive in the cold weather. 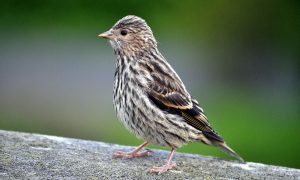 Its stomach is capable of storing seeds that is equal to its 10% of body weight for surviving in the winter season. They migrate from one place to another in no particular pattern as their migration depends on the availability of the food. 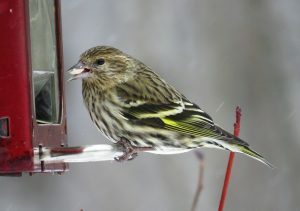 Pine siskins forage collectively with goldfinches. 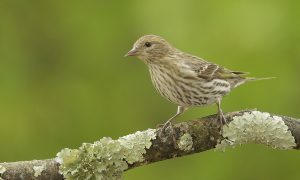 They can be aggressive and hostile with each other when there is a scarcity of food. In order to ward the other competitors off, they usually emit a threatening sound, spreading its wings along with the tail and lowering the head at the same time. To forage on a vast field, a group of pine siskins often builds up a temporary colony over the field. 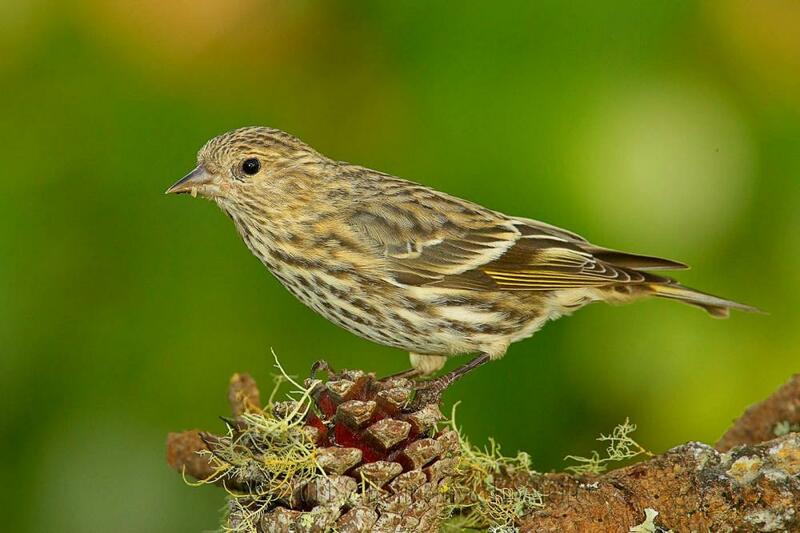 The female makes a hidden cup-shaped nest with twigs, rootlets, leaves and bark strips within 5-6 days. The nest is further insulated with fur, moss and other thick plants. The male often helps her building the nest by gathering potential materials. The male feeds the female during the brooding period. It hangs upside down while eating. Pine siskins start courting in late winter when the male flies around in a circular motion above the female. Sometimes, the male feeds the female during the phase. 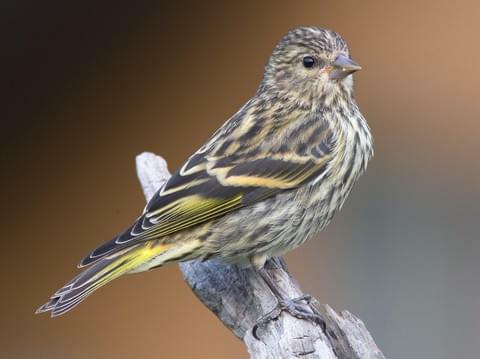 The female lays 3-5 light greenish-blue, black or brown dotted eggs and incubates them for 13-14 days. After the hatching, both the male and female feed the hatchlings. After 14-15 days the young birds leave the nest. The bird is known as an irruptive winter finch due to its migration. 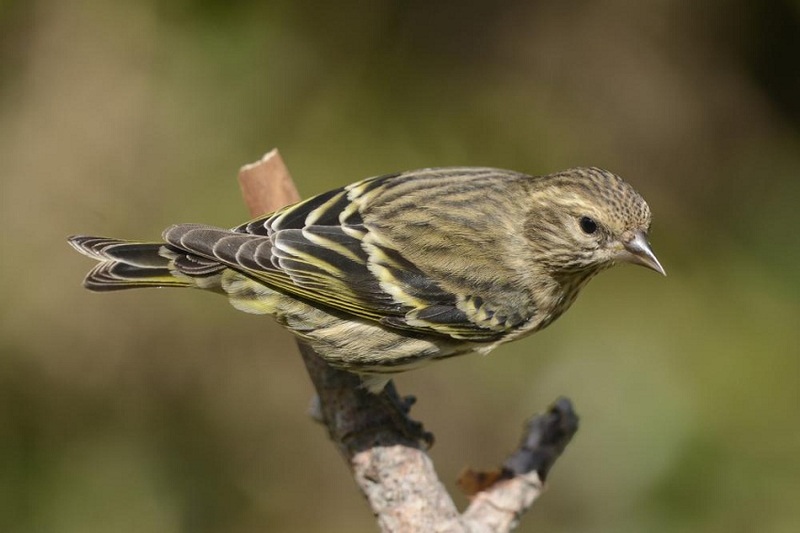 The oldest recorded siskin was 8 years and 8 months in 1966. 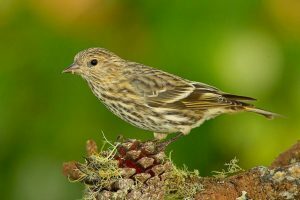 Published on November 12th 2018 by Sahana Kanjilal under Coniferous Forest Animals.